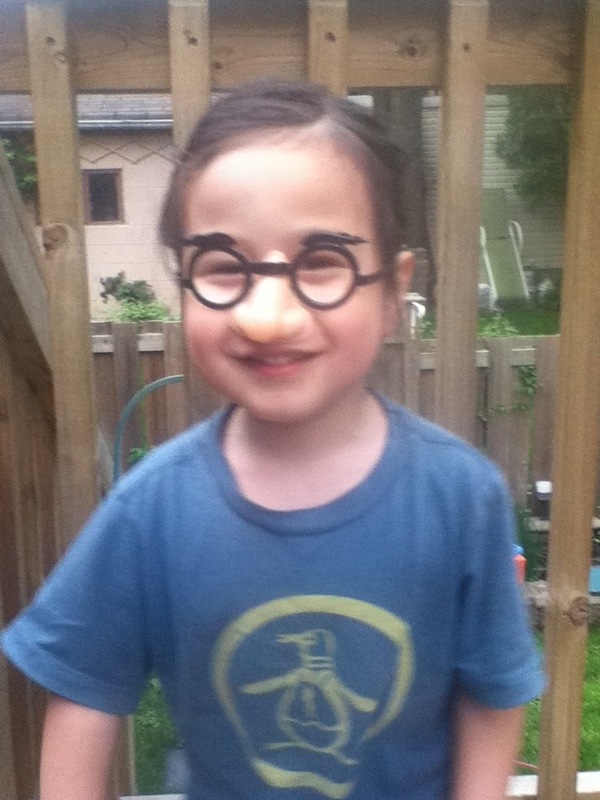 I love seeing Z in these silly glasses. He looks completely different with them on. I couldn’t help laughing. This was a loot bag item from the last birthday party. 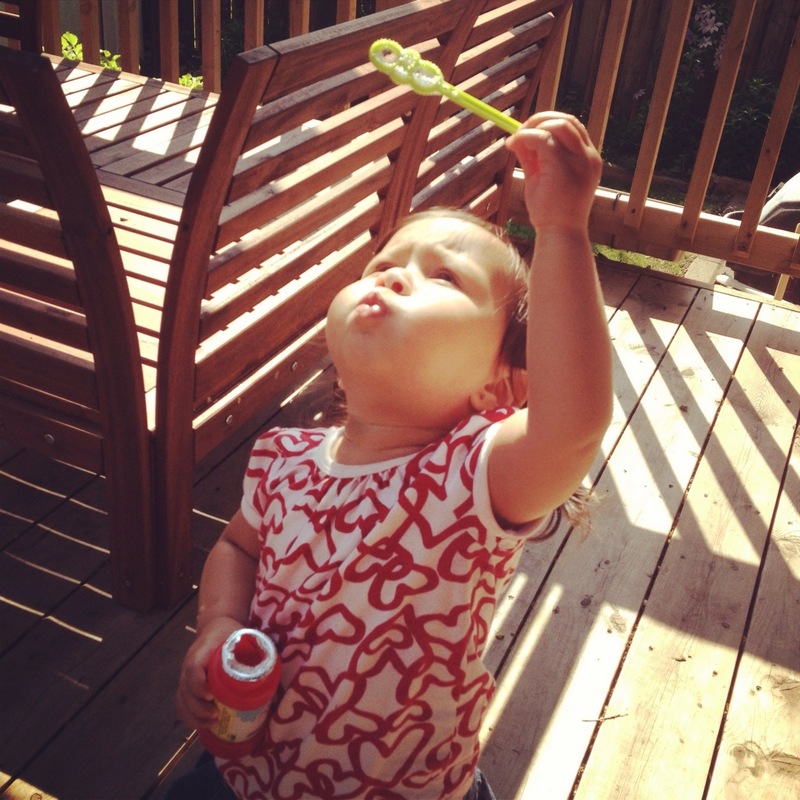 Blowing bubbles is a very tricky thing. You’ve got to blow just right or it won’t work. V was practicing after I showed her to blow upwards instead.